Alka-Seltzer protocol takes less than half an hour to perform, requires equipment that costs about $50, uses consumables that cost only about $5 per analysis and could save growers thousands of dollars. 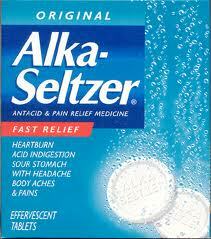 Alka-Seltzer has been soothing human indigestion and heartburn for years. Now, it’s helping out the wine industry. Elemental sulfur is wine’s “frenemy” — it effectively keeps the ubiquitous powdery mildew disease in vineyards at bay, but excessive residues carried over into wine can result in a rotten egg aroma. Now a new, inexpensive method developed by Cornell scientists gives the wine industry a way to protect both vines and fermentations by monitoring residues — using Alka-Seltzer tablets to make a winery-friendly protocol. The same protocol may be useful for such industries as construction, wastewater management, petrochemicals and forensic analysis, say the researchers. Elemental sulfur has been used for centuries to control fungal diseases. “Because it’s cheap, effective and certified for organic production, sulfur is the material of choice to control powdery mildew in the summer,” said project collaborator Wayne Wilcox, professor of plant pathology and plant-microbe biology based at Cornell’s New York State Agricultural Experiment Station in Geneva.